Paint and colours There are 13 products. 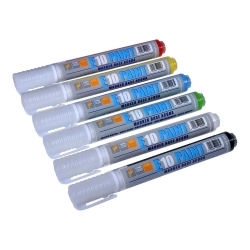 PAINT MARKER PENS Indelible paint marker pens. Universal, can be used on any surface. Medium tip. In the colours: White - Dark Blue – Yellow – Black – Red – Green. The fibres of the tips determine the quality and do not fray over time. 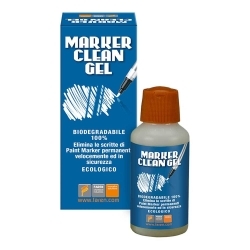 The pen stroke remains clear and unaltered and the writing remains smooth.Packaging available: 7gr. 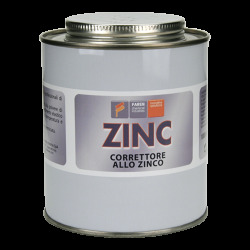 PROFESSIONAL ZINC Over 98% pure, micronised, lamellar zinc-based and mixed with lamellar aluminium powder (to give the light colour). 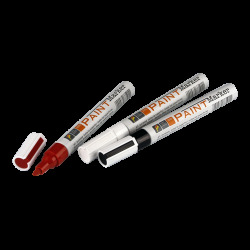 Guarantees longlasting protection against corrosion and oxidation, even externally. Packaging available: 400ml Spray.